This ballast is no longer available, but has been replaced by UVMax ballast #650709-002 (click for details) which has identical features. Power cord sold separately - do not discard your power cord with your old ballast! 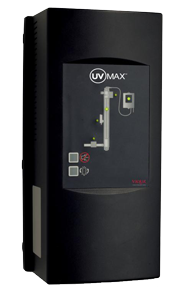 We only sell genuine UVMax brand replacement parts from Viqua. The use of non-original equipment with your UV system could void your warranty and/or result in system damage, pre-mature lamp failure, loss of equipment validation, inadequate water disinfection, and even hazardous electrical shorts. Don't settle for anything less than genuine UVMax parts for your system. Beware of knock-offs!